Susan Trivers is a talented speaker to large and to intimate audiences. “Susan Trivers showed me value existing within my business that I had never seen before. I’ve heard many speakers. I think Susan has better ideas to help owners capitalize on their current buyers, current offerings and current employees than any advisor consulting with companies up to $20 million annual revenue. When she speaks, Susan shares all of her best advice with her audiences of active business owners. How do you feel about hunches? You know, those flashes of brilliance that pop up as you’re working to grow your business. When you least expect it, an idea will come to mind. Do you follow the path it suggests, or brush it aside? In the midst of a busy lunch hour, Susan had a hunch about how to increase revenue from soup at her Cafe Aurora. She decided to create a three-week experiment to test the hunch, and after analyzing the data she collected, she went with it. Soup sales increased from 65% of supply to 100% nearly every day for three years. The success of this hunch, experiment and roll-out is the foundation of her twenty-five years of revenue growth consulting. 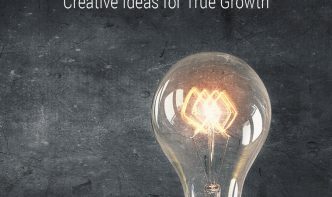 It the inspiration for her acclaimed book Tinker: How Smart Business Owners Develop Creative Ideas for True Growth. Susan shares her Three-T Model to help every business owner improve and innovate what they’ve already got out in the market. You’ll learn how hunches, experiments and tinkering can generate 10, 20, even 30% growth year after year for very low cost or investment. Best suited for company-specific Boardroom Conversations, Business Growth Conference breakout sessions, and Marketing Meetings. Revenue: increasing prices or fees every single time you increase value. Your company must increase value on a regular schedule, not randomly. Products and services: weed out under-performers; replace them with new, higher value offerings. Always, always stay fresh. Don’t be Kodak or Sears. Mindset: your company’s performance reflects how and what you think. Focus on what’s the most important: the future, your best buyers, and maximizing per employee revenue. Creating Lasting Value is a powerful opening keynote for your audience of business owners and executives. If your meeting or conference theme is about the future, imagination or focus, Creating Lasting Value will inspire your audiences to eagerly attend breakout sessions looking for relevant ideas. Growth and Opportunity Are Right There! Susan shares her Growth and Opportunity (GO) CURVE, a blueprint for growth. The GO CURVE is by far the most highly favored tool used by clients of Trivers Consulting Group. They love how they get visual insight into their array of buyers and their revenue streams. 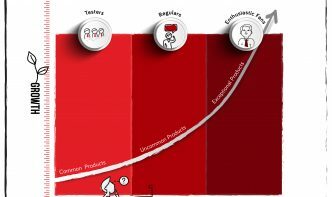 They learn to use the GO CURVE to model product and price changes; to assess how marketing efforts would impact their range of buyers; and where to put their investments for future growth. The GO CURVE experience is best for company Boardroom Conversations, for peer groups (it is the main feature of Susan’s Vistage presentation) and for conference breakout sessions. When you are planning an event for business owners, be sure to include Susan Trivers. She’s a long time, experienced speaker who puts the audience first and works with organizers to ensure her content excites the audience and sends them home with great value. Susan will customize the length of her speeches to work with your schedule. She includes audience participation to help with enjoyment in the moment and retention for the long term. She offers pre-and post-conference options to improve the audience’s likelihood of actualizing her ideas.